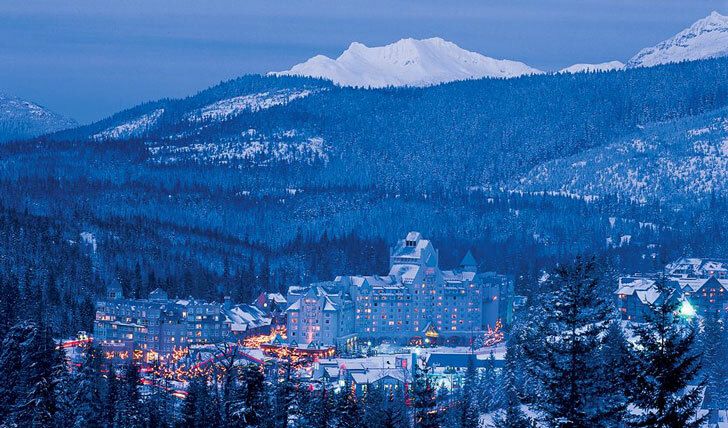 Grand, stylish and classic, yet exuding a warm and cozy feel, the Fairmont Chateau Whistler with its 550 rooms showcases the perfect ski retreat and is conveniently set at the base of Whistler’s Blackcomb Mountain. Whether spending a romantic summer break secluded in the mountains or racing down the Rockies on a jam-packed ski adventure, the Fairmont is your ideal luxury hub to hole up in. After a 2 hour transfer from Vancouver International airport, having enjoyed a scenic route through British Columbia’s beautiful landscape, you’ll arrive on the Chateau Boulevard. Neatly located just off the Blackcomb Way, here the Fairmont boasts an unbeatable position at the foot of the slopes and offers the best ski-in ski-out access in Whistler resort. From gorgeous guest rooms to sumptuous suites, all rooms radiate a sense of calm, using elegant design and crisp, natural tones throughout, which reflect the region’s fresh alpine setting. Generous space and equipped with all mod cons, rooms feel comfy and airy and certain suites even boast a jet bathtub. 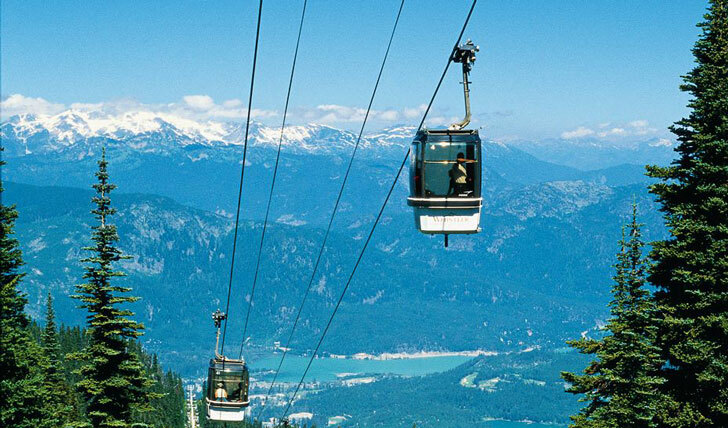 What’s more, here up in the Rockies, views from Blackcomb and Rainbow mountains to Whistler’s whimsical woodland are outstanding, and the Fairmont’s rooms offer the top place to take in this spectacular scenery. We love skiing, but sometimes you want to enjoy time away from the slopes. Following a few speedy runs down the piste, head to the Fairmont’s Vida Spa, where they specialize in relaxation and invigoration, where you’ll be able to fully top up your energy levels. Discover your ‘dosha’ and indulge in an authentic Ayurvedic treatment to suit your personal needs. Alternatively, mountain resorts are packed with exciting outdoor activities and the Fairmont’s concierge service goes above and beyond in ensuring that you’re able to experience it all from horse-riding in summer to snowmobiling in winter. We personally loved the rafting on Whistler’s winding rivers and lakes, where you may be lucky enough to see Canada’s rare wildlife as you wade through the mountain’s pristine waters.